Lucky is the person who doesn’t get blackheads but luckier still are those who get these comedones but have found the best solutions to deal with this skin issue. Of course, if you are one of those who are plagued with this problem, there’s no need to panic or even prematurely give up the fight as there are plenty of remedies to choose from. In some cases, these treatments work so amazingly to the point where you may find yourself just totally letting go of the urge to pick. So you know that they’re ugly and that you need to get rid of them the soonest. But did you know that aside from caffeine, alcohol, dairy products, and a fat-rich/carbohydrate-rich diet, stress and genetics also contribute to blackhead formation? And while you can do something about your diet and your stress levels, it’s obvious that there’s no workaround genetic predisposition. Don’t worry though, as no matter what the cause of your blackheads may be, clear skin is achievable, especially if you follow the advice of experts. Buying products designed to get rid of blackheads (spot treatment) is just an extra step in the overall scheme to have healthy, radiant skin. First, you need to go back to the basics: cleanse, tone, and moisturize and if you can, try to buy products that have salicylic acid (unless of course, you are allergic to this component). Alcohol-free products are also good, as long as these can restore the pH of your skin and are antimicrobial and antibacterial. As for spot treatments, dermatologists recommend serums that have vitamin B3 (niacinamide) and papain (papaya enzyme) as these can help decrease oiliness and aid the skin in removing pore-clogging dead skin cells. 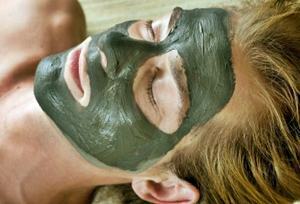 Using a face mask is a good way to control blackheads by reducing oiliness and unclogging pores. [/caption]One thing you need to remember about keeping oiliness in check is that you don’t have to skip the moisturizer. In fact, keeping your skin hydrated is always a good idea since you don’t want to make your oil glands work harder in a bid to compensate for the stripped moisture. What you can do is to go for an oil-free moisturizer (don’t forget the SPF for daytime use) and to use makeup that will not cause comedones or irritate your skin. Using a face mask is a good way to control blackheads by reducing oiliness and unclogging pores. With regards to masks and scrubs, it is well-known that Kaolin-based masks are able to pull out oils, blackheads, and other gunk that clog pores. But don’t think that you can use a mask every day. Again, you don’t want to dry your face too much that it will retaliate by producing more oil. Twice a week is good enough and this goes for scrubs too. Make sure you pick a scrub that is gentle on the skin as you don’t want to have micro-wounds that can be infected and lead to a full-blown breakout. And if everything else fails, you can always go to an esthetician who can remove all those blackheads for you, sans scarring, hyperpigmentation, and broken capillaries. 3 tablespoons of honey plus 1 teaspoon of cinnamon powder – Apply on affected areas and leave overnight. In the morning, wash off with lukewarm water. Egg white: Fresh egg white is not just great for reducing pores and soothing inflamed pimples. You can also apply it on blackhead-prone areas and when it dries, just rinse off with water. Lime juice and boiled milk: Instead of using your regular face wash, you can add 1 tablespoon of lime juice to a glass of boiled milk. 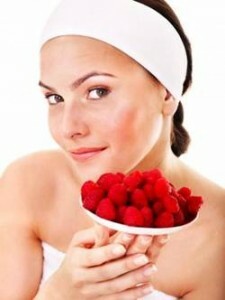 Regularly washing your face with this mixture is said to reduce, if not totally eliminate comedones. Looking for more great home remedies? Try some of our recommended home remedies for blackheads in this article. Or make your own homemade face masks using these simple recipes. And if you still haven’t got enough ideas, try these at home remedies that will help you to get your skin looking great for a fraction of the cost of store-bought products! This is a guest post by Francine Luke who writes for Top Beauty Secrets Eyelash Conditioner, an online resource that provides eyelash reviews. Aside from writing about beauty products, Francine is also interested in fitness, health and sports.